Bobby Shappard is not only a loyal staff of the Marion County Board of DD, he is a great success story. Bobby has received services from MCBDD throughout his life, he attended Marca school, and was a Special Olympics basketball phenom. Bobby is an employee of the County Board and has been since 1993. 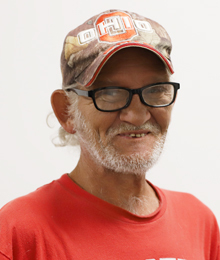 Bobby is a hard worker and a man of few words, but when asked what he enjoys most about working at MCBDD, his answer was short and sweet, “it’s the people.” His wish for those we serve is for the County Board to be able to do more for them so they have the tools needed to be successful in life. He is a lifelong Marion resident and enjoys spending time with his two children. He also loves fishing and watching the Buckeyes.